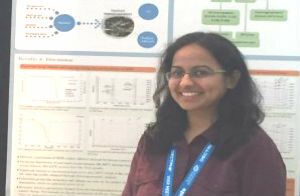 Research scholars Anurag Parihar and Vibhuti Chhabra secured the second prize in the poster slam competition. . .